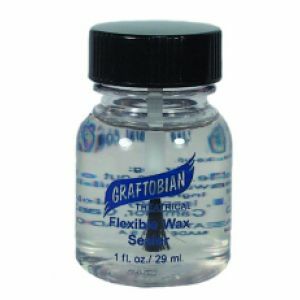 Apply several thin coats over the wax surface, with the lid brush. Allow the sealant to dry between each coat. Make-up can be applied over the sealed wax, as if it were skin.